Have you been confused about giving gifts to your friends and families? Have your earlier gifts ‘missed the mark’ and ended up being another unwanted item? Rather than gifting something that may eventually end up as landfill, this year, give them consumable gifts which won’t be wasted. 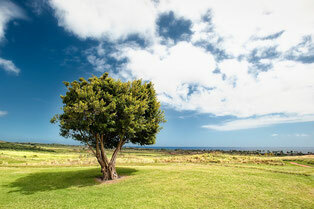 The ‘gift of green’ is the latest innovation in gifting ideas and is catching on fast. Not only does it impress your friends with a quality gift they will enjoy, it identifies your ideals and shows your concern towards your environment. With fast-paced global climate change, gifting eco-friendly consumable items is a sensible thing to do. Regionally produced consumable gifts are an excellent way to minimize waste. Such food items are made with local produce, which minimizes transport costs as well as supports local business. Regional foods also make a unique gift, as it gives the recipient a culinary ‘tour’ of an area they may not have actually visited. Consumable organic items are grown with organic fertilizers and pesticide. The quality and fertility of soil, thereby enhances soil productivity. The best thing about choosing organic consumable gifts is that they are eco-friendly. The process of production of these organic gifts does not harm the environment and helps establishes ecological balance. You want a consumable gift to be more special than the recipient can easily purchase themselves. The best way to do this is to choose quality items that they may not normally be able to find or feel they should ‘splurge’ on. That said, unless you know their specific tastes, it’s best to select items with a wide appeal. You have a wide variety of finest quality of consumable gift items to choose from like coffee, herbal tea, salad dressings, honey, chocolates, nuts, spices, chutneys, conserves, sauces, wine and beers, to name a few. Tasteful packaging will also increase the gift’s appeal. So the next time you need to purchase a gift for family, friends or colleagues, think green and give a consumable gift that will bring a smile to their face, while helping the environment. The products offered by D’licious Gourmet Hampers are locally produced and specialises in regional delicacies of Sunshine Coast, Queensland. 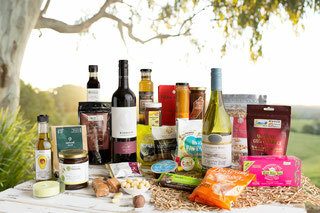 You can choose from options such as Deluxe gift hampers, Flavours of the Farm or Queenslander. These gift hampers are perfect for family, friends or corporate. You also have the option to customise your gift hampers.